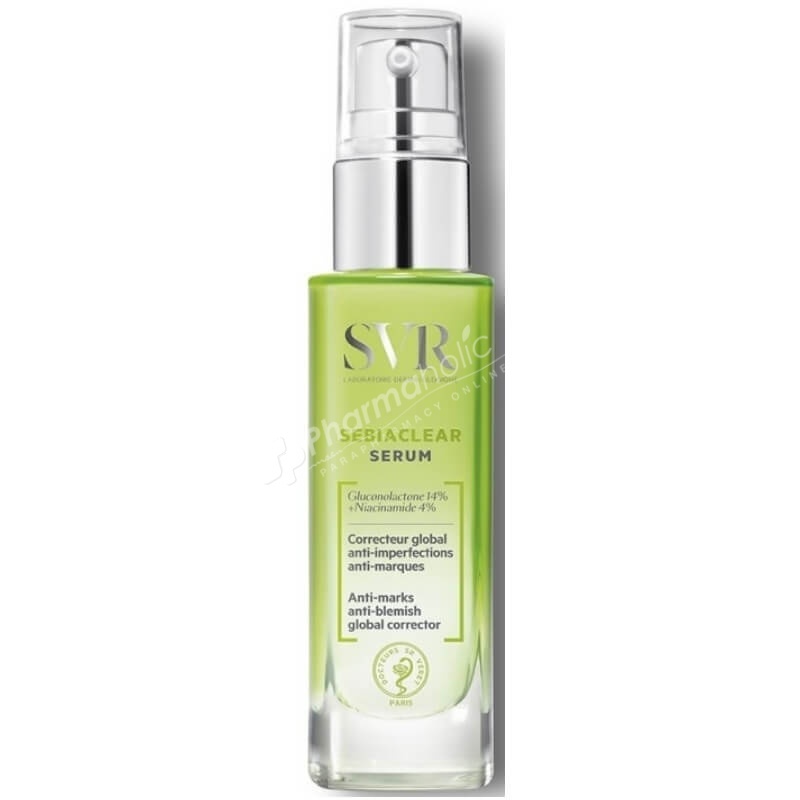 SVR Sebiaclear Serum is the new daily skincare for adults with acne-prone skin. Its formula is highly concentrated in leading active ingredients for a triple action: anti-blemishes, marks, and wrinkles. SEBIACLEAR SERUM, is the new daily skincare for adults with acne-prone skin. Its formula is highly concentrated in leading active ingredients for a triple action: anti-blemishes, marks, and wrinkles. The core formula Sebiaclear reduces spots, blackheads, pores, and residual marks. Hyaluronic acid moisturises and smoothes the skin. The skin's quality improves after 7 days: the texture is refined, the pores are tightened, and marks are reduced. for combination skin, apply the serum and the regular day cream. for oily skin, it can be applied alone while providing the necessary moisture for the skin.